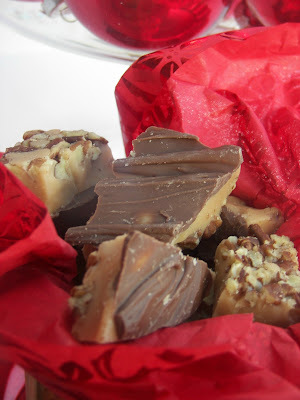 You are going to love my mother Nedra for this recipe. My mother passed away over 21 years ago, but she still lives on in many ways, including her recipes. She found the gnocchi recipe years ago and it is a favorite with our family! To me, Gnocchi, are perfect potato pillows! They are melt-in-your-mouth heaven. Did I tell you? This is a cheater version; you make it with a mashed potato mix! I know, I know, I never make instant mashed potatoes, except when I make gnocchi. I even lived in Idaho for awhile so I know a teeny, tiny bit about potatoes. Trust me on this one, you won't know the difference between dried and fresh potatoes, I would sing for these gnocchi; I really would. 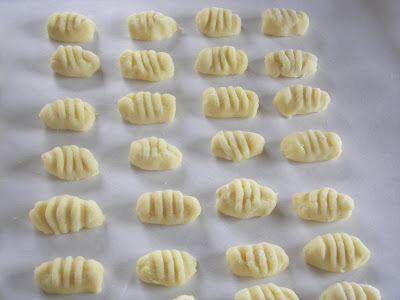 It took me 70 minutes to make this Gnocchi recipe, including time to take photos of the process. I tell you this because it would take you longer to drive to a restaurant and order it. You also wouldn't get the satisfaction of hearing your husband say, "These are better than in the restaurant...." It is also very economical to make; it could be considered "peasant food." 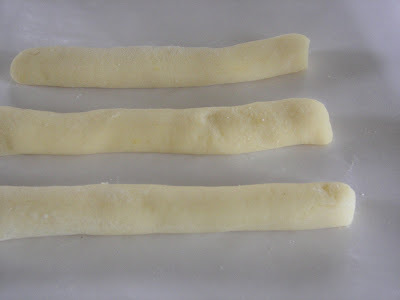 Recipe for Nedra's Gnocchi -- There are photos of the process below. Prepare mashed potatoes for 12 servings using half of the water and milk as directed on the package. My package ( I just used the Wal-Mart Mashed Potatoes) had me add milk, water, butter, salt, and the potatoes. Make sure that you do boil the water and that you add the dried potatoes before you add the rest of the ingredients. You need hot liquid so that the potatoes reconstitute. Stir in about 1-1/2 cups flour, 1-2 teaspoons of salt and 3 eggs. You need to be careful on the salt. If you added some to your potato mix, taste the potatoes, before you add the eggs, and adjust the salt as indicated in step 1 accordingly. On lightly floured surface, roll the dough, with your hands, into ropes about 3/4 inches thick and about 8 to 10 inches long. 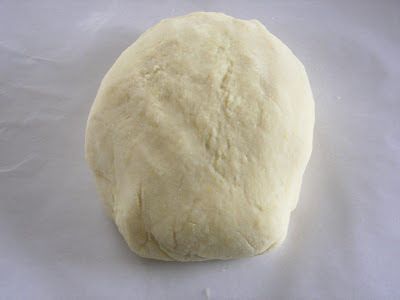 The dough should be smooth and soft, not mealy. Just work with the dough a bit. You may need to add a little bit of flour. Use a fork to make the indentations on each gnocchi. This will flatten the pasta a bit, so plump it back up with your fingers. You want the dough to have the indentations to trap more sauce. There is a tool for this that I don't have. Bring a large kettle of water to a boil. Add 1 tablespoon salt. Place the gnocchi in the boiling water. The gnocchi are cooked when they rise to the top. This happens quite quickly and not all will rise to the top at one time. Remove gnocchi from the boiling water with a slotted spoon. Serve with desired sauce. 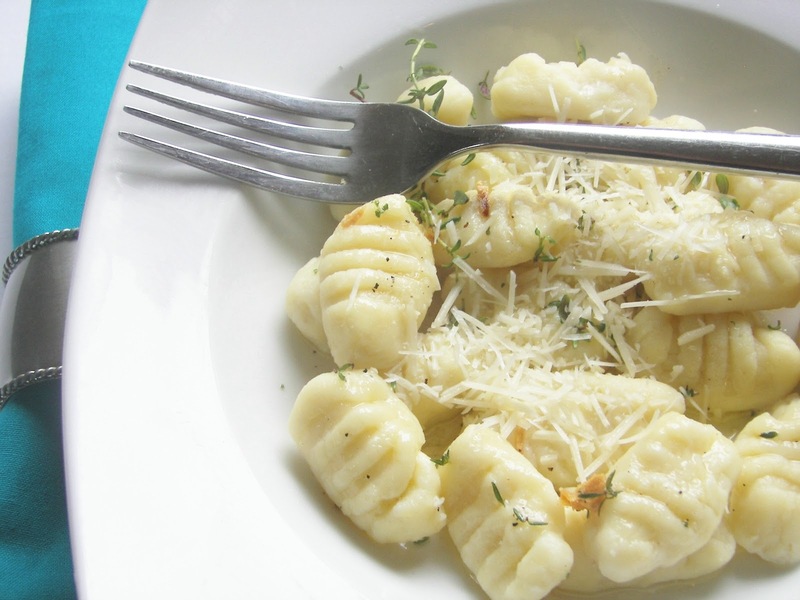 We like gnocchi best with a bit of browned butter, garlic, Parmesan cheese, and fresh herbs. I used some German Thyme that wintered over. How gorgeous are these?! Are these similar to pierogi? They look divine! Oh my! Yum! These look fantastic! Oh dear... I should have just stuck to the tablescape. 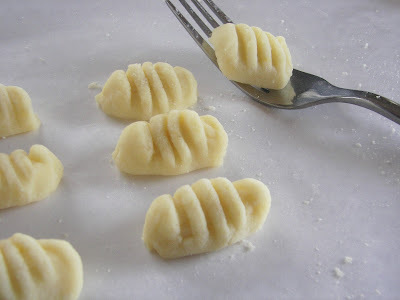 Gnocchi is a favorite, and now I'm having a little craving issue. I have got to try these! I am with you on the mashed potatoes thingy. I do use them for Shepherd's Pie and that is about it. Now I am going to try these out. I haven't had too much luck with Gnocchi, even though I love it. Thanks for the recipe! sweet potato gnocchi is on my recipe bucket list so when i do end up making it i might have to do the cheaters version! LOL! This look so good! Oh they look good! I made ricotta gnocchi last week, didn't post it yet. It was ok, much lighter than the potato. I will try your recipe soon! I just fell a little more in love with your blog. I love gnocchi, but have nver been willing to make it at home because it seemed so daunting. I am going to try this pronto! I am craving these BIG TIME after reading how you made them. I promise to try them real soon. They look & sound delicious! Thank you so much for sharing how your Mom made them. Hi Joni! Oh, these are so pretty and look so good. I've never made any before and you make it look easy. Thanks for popping in to see me and glad you liked my little plates! Yes, the green plates are the same as the yellow ones. I've them for years and I believe I got them at Ross! 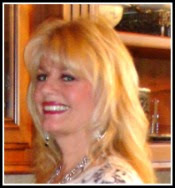 These are one of my favorites of Mom's. I love how tender and luscious they are and I agree, they really are easy. We love them with all kinds of different sauces. You did such a nice tutorial. I can't believe you could do it so fast, especially including the great pictures. Yum, we will have to make some soon. 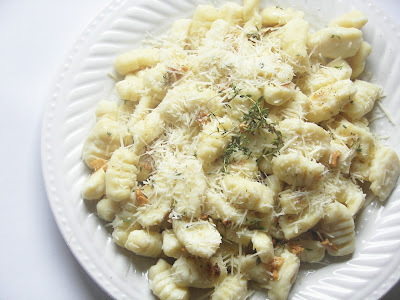 Joni Oh I just adore this recipe for gnocchi very yummy !! I am so happy that you started your blog. Gnocchi has always intrigued me. I always wondered what they were. Thanks for an easy and delicious looking recipe. I am gonna have to try it out. I've never made them, but I will. Crafts I can't do...cooking I can! I would love to have fresh gnocchi! Saving this one. well,i never! :) i am going to have to give this a try---i love gnocchi but hardly ever make it because it is usually time consuming and really messy. but not with boxed potatoes...it could become a bit of a habit! thank you for sharing with tuesday night supper club. 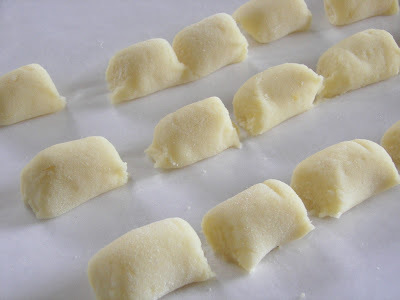 Ive never had the courage to make gnocchi because I'd feel so defeated if it failed, but I love your step by step guide! Thanks. Copied, pasted, drooled over, and ready to try this weekend! Yum. Very good step by step. When serving this I might just sin by ommission that is I will omit to tell people about the dried potato.